I am also confused now. Did you port Bombshell Prequel from our loved one-and-only-reason-why-we-would-f*cking-play-this-game-BUILDENGINE to Unreal???? Port is such a strong word. They only played around in the Build engine a bit with some prototype map layouts, and of course some voxel objects. The switch to the Unreal engine was simply a business decision, and it came down to what we wanted to do with the Bombshell Prequel and how best to achieve it. The game should not be significantly delayed but it will take a little time to get up to speed with the new engine and learn how to exploit it. Fortunately, all of our game data will transfer very easily and we see being back to where we were within a month to 6 weeks. At the risk of you guys and the public not getting the joke, this is a joke and HiPolyBash is not on the team. It's an excellent joke nonetheless. Would have been one hell of a conversion, though... I guess. We bought Bombshell, we were promised access to the beta prequel, we want news, please ! Come on, the joke was obvious. I bought Bombshell as well, and Bombshell is under new management. ... waiting right now for the actual pre-game to come out, if I get the demo, fine, if not, I still get the actual game. [added] Should mention, I'm not into news. Other than it being very very gray, it looks absolutely amazing. I really, really can't wait to get my hands on that game! Lookin' fantastic! Will this use any textures from Duke3D? Like those spotlights on the top of the big column, and some other walls and ceilings. I don't think they even have a permission to use Duke content at all ? Aside from eduke32 itself as has been mentioned being used. 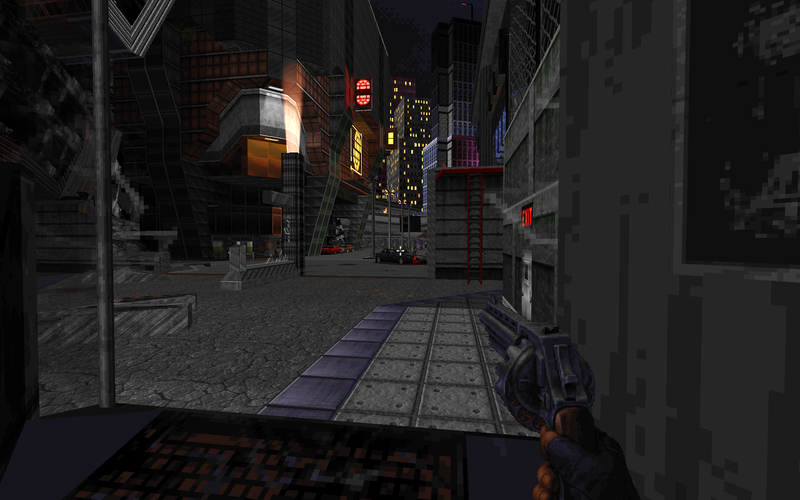 From what I've seen, it seems they use completely new textures which in some cases were drawn to resemble Duke Nukem 3D, which makes sense when you consider what they're going for. I seem to think that the game was meant to use either EDuke32 directly, or a modified version of it, as I am almost certain I remember feeling a slight disappointment that it wouldn't run in DOS. It's definitely another texture, but with the same style. I bet all concrete, brick or marble textures look similar. I thought the same thing at first but honestly it's just a spotlight. You can probably find similar looking lights and trimming textures in about every Build game, except maybe Powerslave because it only has torches. eduke32 has been getting new features in gradually that I suspect being related to this. One being module music support and TX mentioning about a musician way back. Not to mention some STANDALONE stuff being added in from what i saw in the IRC SVN bot logs. I ragged a bit on the textures before, but I see now it's less gritty realistic and more stylized and I really really dig it now. I hope there will be some interesting daytime open area levels. 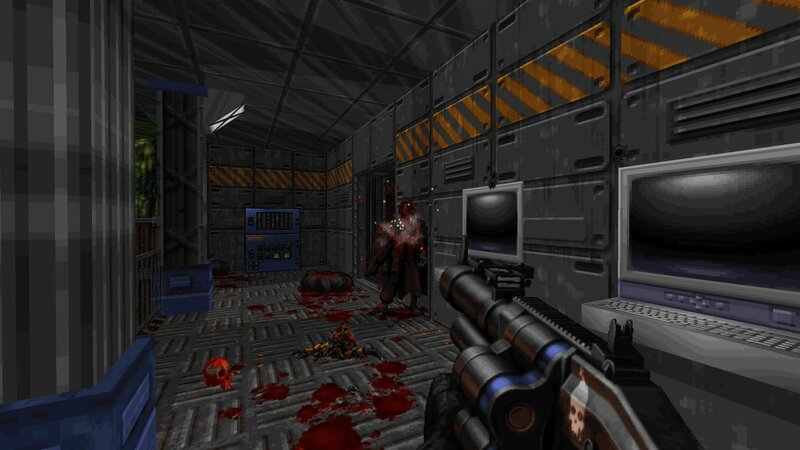 Duke3D really lacked those (I mean daytime levels). Also hoping for a lot of exploration and interaction in large levels. Any word on a release timeframe? I am really digging the atmosphere of these screenies. Reminds me a bit of the hi-tech street scenes of "The Gate". But with more detail, better lighting and more polished. Notify us when preorders are available. So, did you guys show anything on E3? This thing reminds of Alejandro's Welcome Home level (which AFAIK was planned to be a level for an abandoned TC). I don't know if this counts as showing at E3, but rumor has it that TX flashed a booth girl. There might have been a video that was shown to a couple people. That sounds very interesting, go on. TerminX just announced the name of this as Ion Maiden in a live stream. I've updated the topic title. 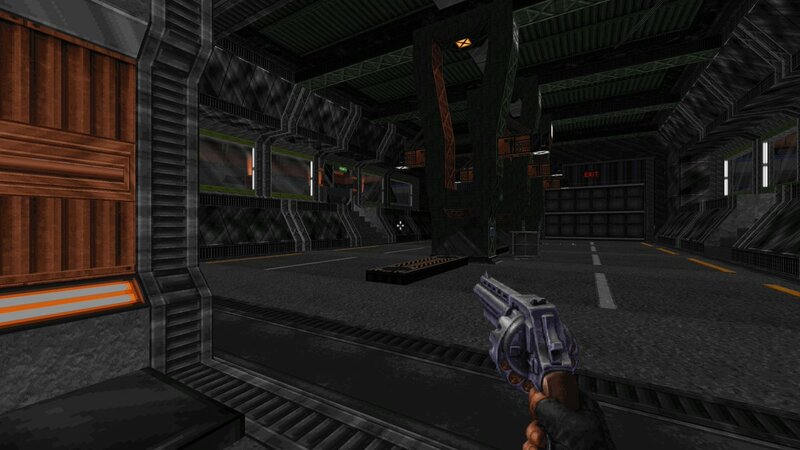 TerminX, or anyone at Voidpoint, are there any new details you can share about Ion Maiden?